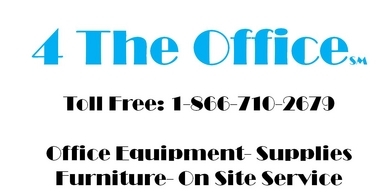 As an Authorized Reseller, 4 The Office can help your family or company protect your drivers and others on the road. Our solution is proactive not reactive. Texting, emailing and cell phone use while driving are prevalent distractions in all household vehicles or fleets and present a temptation that even your best drivers are susceptible to. Stop texting, messaging, selfies, social media and more, while improving driver performance for Android and iPhone. Are your drivers texting while driving? A recent AT&T study surveying 1,000 drivers revealed 98% of those who text and drive are aware it’s dangerous, but 75% say they continue to do it. Fleets and parents need to be proactive in preventing cell phone use while driving, and this goes beyond training and awareness programs and simply having your drivers sign a company policy. We ignore better judgment, take the risk and hope nothing bad happens. This is not an effective approach. Don't be reactive, be proactive. Technology to eliminate texting, emailing and unauthorized phone use while driving company vehicles. Protect your employees and company from the consequences of distracted drivers, while creating better drivers. As an employer, you are exposed to the consequences of employee mobile device use behind the wheel, whether they are driving on company time or in a company vehicle. Making phone calls, texting, emailing and/or using any device application while a vehicle is in motion exponentially increases the likelihood of an at-fault vehicle crash. The result is an increase in negligence and vicarious liability exposure being placed on the employer. 4 The Office can help companies mitigate this risk and exposure by eliminating mobile device distraction behind the wheel. 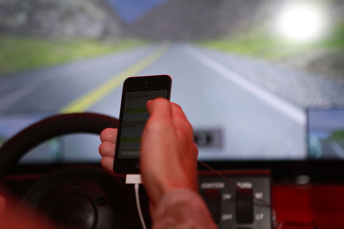 These days, most companies have a policy against distracted driving. 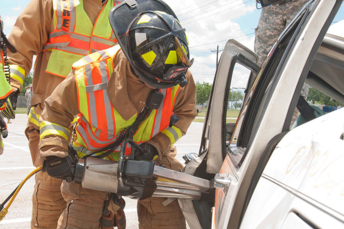 Additionally, education around the dangers of distracted driving is typically part of employee training. Employers spell out the risks associated with mobile device use while driving and and hope employees will comply with the company policy. But hope won't defend your company against the repercussions from crashes caused by device distraction. 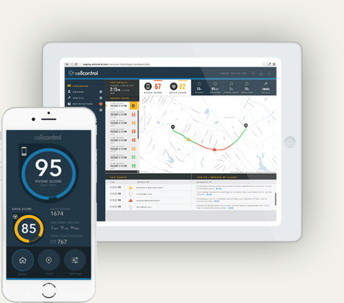 However, with Cellcontrol, you can have the confidence that your employees are always in compliance and are never at risk for the temptations the mobile devices create when they are in the drivers seat. Use of a phone has proven to be just as distracting as texting. Cellcontrol can restrict use to handsfree only via Bluetooth. Three steps and less than five minutes will have your Cellcontrol up and running - ready to enable safe driving. No tools required, only you car and phone are needed. 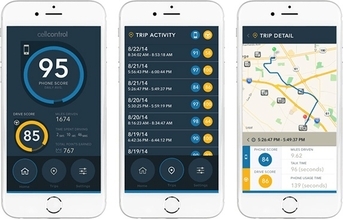 Cellcontrol enforces policy when the vehicles is accurately determined to be in motion. Start to drive and within moments Cellcontrol will begin to protect. To ensure regular use, Cellcontrol has incorporated a number of countermeasures to notify when the solution has been tampered with or disabled. A history of these event are accessible in your Cellcontrol admin account. Cellcontrol's goal is universal support. We have the best phone & device coverage globally - period! Currently we support ALL Android, Apple, BlackBerry (up to v10), and select BREW (Non-smart phones). 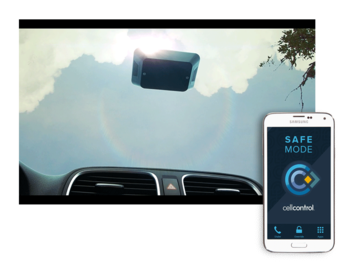 Cellcontrol's DriveProtect™ platform not only protects drivers from mobile distractions behind the wheel, but also gives adminstrators information on calls and texts blocked, mobile device usage trends and much more. 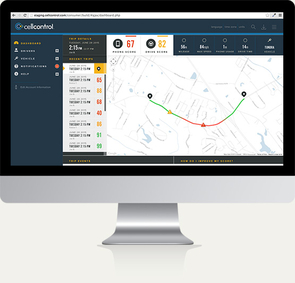 Cellcontrol's optional DrivePerformance™ platform monitors driving performance and assigns a driver score following each trip. A driver's score is based on an array of different metrics, including braking, acceleration, speed, cornering, etc. The system also advises administrators on how drivers can improve their performance behind the wheel for better scores and safer driving. to allow in safe mode (i.e. allowing Navigation and Music apps while blocking texts and calls) through an easy-to-use online application. DriveID™ can also accurately detect who is in the driver’s seat, and gives parents the option to only block the driver’s phone, allowing passengers to use their devices. Parents can also receive notifications of excessive speed, hard braking, device tampering and tracking the driving route of each trip, as well as associated tips on how to improve these negative driving behaviors. DriveID™ comes ready to stop all mobile device distractions, including texts, phone calls, emails and web browsing. Emergency calls, (911), are always allowed through the system, and you can decide which mobile functions to allow in safe mode (i.e. allowing Navigation and Music apps while blocking texts and calls) through an easy-to-use online application. DriveID™ can also accurately detect who is in the driver’s seat, and gives you the option to only block the driver’s phone, allowing passengers to use their devices. You can also receive notifications of excessive speed, hard braking, device tampering and tracking the driving route of each trip, as well as associated tips on how to improve these negative driving behaviors.